He was once a bouncer at a nightclub. He admits to accidental cursing. And drives an old car. How surprised are you that I’m talking about the Pope? Yes,the leader of the Catholic Church even admitted to snagging a rosary from a dead priest. Yet he is very popular. Well, it’s because most people feel he is real. That he demonstrates its ok to make mistakes. We’re human, right? A normal person –that struck a chord with me. I’m usually not one to apply labels such as “normal,” but a “normal” person went from unknown across the world to Pope and Time magazine’s Person of the Year in less than 12 months. And he is doing it by being himself. He’s an authentic and genuine leader. Some people are natural leaders. Some feel they need to act or behave a certain way to be a great leader. But Pope Francis has shown that to get people to follow you, you can lead by being real and showing authenticity. Great leaders are honest, open and transparent with employees and stakeholders. When making strategic decisions on matters, successful leaders are transparent about how these matters arose, their thought process for dealing with them, and how their solutions may directly impact those they lead. He knew he inherited a church facing many issues. Pope Francis didn’t dodge any questions or try to hide anything. He showed that even the Pope, an “infallible human being,” is not perfect. This transparency allows people to relate to him, and if you are relatable, then you’re more likely to attract people to follow your mission and support your cause. Good leaders just own it – the good and the bad! And Pope Francis owns it. He takes accountability for many of the issues the Catholic Church is facing, and he takes accountability for ideas and solutions to try to resolve those issues. Acknowledge that things don’t always go exactly as planned – and don’t whine and make excuses – but let employees and customers know you see it as well. Pope Francis even took accountability for “snagging” a rosary from a dead priest. He admitted it wasn’t the best idea but it was a positive learning experience for him. So be a grown up, be an honest, transparent, accountable, and authentic leader. Make an effort to relate to what employees or customers are going through, share next steps you plan to take to reevaluate and improve. That’s what builds trust in a leader – and trust in leadership is correlated to high performing organizations with committed employees, loyal customers and followers, and increased performance and sustainability! The basis of good leadership is honorable character and selfless service to the organization; compassion for people and both their professional and personal situations. Compassion is also the basis for a good papacy, and Pope Francis has compassion in abundance. In the eyes of followers, what leadership not only affects the organization’s objectives but also their well-being. When a person is deciding if they respect a leader, they don’t think about attributes, rather they see what leaders do. Observations can often tell an employee if a leader is an honorable and trusted person or a self-serving person, one who misuses authority to look good and get promoted. Self-serving leaders are not as effective because their employees only obey them, not follow them. When leaders show compassion and understanding for their followers and their situations, it becomes easier for them to notice that their leaders are interested and concerned, and not as self-serving as possibly thought. So OK, maybe you’ve never been a bouncer at a nightclub – or Pope. But you are you. 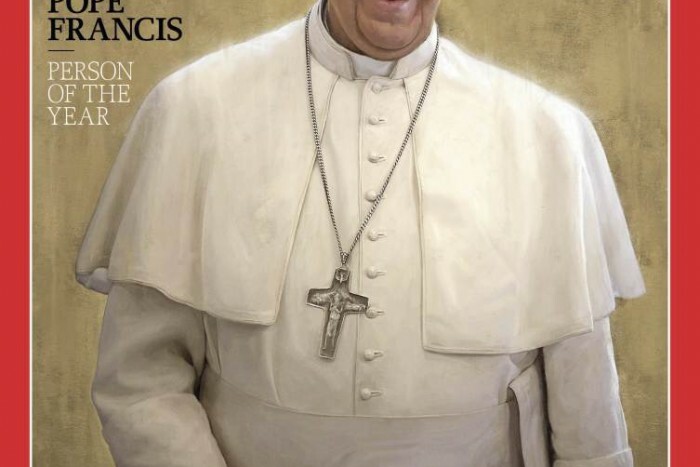 What we can all learn from Pope Francis is that you don’t need to play the part. Be yourself, behave in a way that builds respect, and you’ll gain a following to help you achieve your organizational mission and goals. Author’s note: This is not a religious endorsement and not intended for political nor religious debate.